Avanti has the tools to help you succeed in Lipidomics. We have been producing high-quality lipids since 1967, and have been supplying mass spec standards to the LipidMAPS consortium and many others for over 15 years. Our mass spec standard line includes deuterium labeled lipids available in complex standard mixtures or as individual compounds. We have both internal standards and primary standards for most lipid classes. Our Analytical Services Division is also available to perform targeted or broad range lipidomic analysis for a fee. Please visit our website for more information. In close cooperation with our customers, Bruker is enabling innovation, productivity and customer success in life science molecular research, in applied and pharma applications, and in microscopy, nano-analysis and industrial applications. 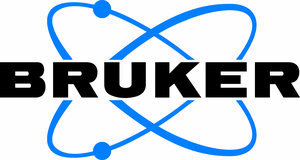 In recent years, Bruker has also become a provider of high-performance systems for cell biology, preclinical imaging, clinical phenomics and proteomics research, clinical microbiology, and for molecular pathology research. HTX Technologies ofers innovative sample preparation systems for advanced analytical platforms. Our integrated workflow solutions include user training, instrumentation, software, consumables and method development services. ImaBiotech is a contract research organization (CRO) that offers services in mass spectrometry imaging (MSI); along with developing and implementing new imaging technologies, such as Quantinetix™ and Multimaging™. The main facility is located in Europe (Lille, France), with a new laboratory in North America (Billerica, MA), and a distributor in Asia (Nagoya, Japan). In order to accelerate drug development, ImaBiotech offers Mass Spectrometry Services, such as MALDI high resolution mass spectrometry imaging to provide a cost effective solution to preclinical and clinical studies. This molecular technique is used both qualitatively and quantitatively for understanding the efficacy and toxicity of drug candidates. Ionoptika Limited is an SME located close to Southampton in the UK, specializing in the design and manufacture of high performance ion beam technologies for micro-machining and surface analysis applications. Over nearly 25 years, the company has established itself as a cutting-edge technology provider - through close association with leading scientists, we are constantly driving innovative new technologies to solve the problems of tomorrow. Our flagship instrument, the J105 SIMS, is a state-of-the-art dynamic ToF-SIMS which uses a DC primary beam in conjunction with a revolutionary time-of-flight analyser to create a new paradigm in imaging mass spectrometry. Using the latest in cluster ion beam technology, the J105 enables high-resolution SIMS imaging of large molecular species, continuous data acquisition (i.e. no separate etch cycle), whilst simultaneously delivering high spatial- and mass-resolution. New River Labs is the leading provider of mass spectrometry imaging based diagnostic and prognostic tests designed to address unmet clinical needs and improve patient care. Our tests provide physicians with actionable intelligence to develop personalized treatment plans, leading to improved patient outcomes. We use histology-guided mass spectrometry (HGMS) profiling, a proprietary application of mass spectrometry imaging, to target specific cells of interest within tissue sections. By applying machine learning resources to HGMS data, we develop classification algorithms that can differentiate between disease states and treatment responses. We are actively seeking collaborative research partnerships with principal investigators and key opinion leaders to expand our portfolio of MALDI mass spectrometry based clinical assays. Waters Corporation (NYSE: WAT), the world's leading specialty measurement company, has pioneered chromatography, mass spectrometry and thermal analysis innovations serving the life, materials and food sciences for nearly 60 years. With approximately 7,000 employees worldwide, Waters operates directly in 31 countries, including 15 manufacturing facilities, and with products available in more than 100 countries. Thermo Fisher Scientific high resolution mass spectrometry systems take discovery and sample analysis to new heights. We offer easy, high-throughput, quantitative workflows for proteins, drug metabolites, pesticides and many other applications. Whether you’re detecting disease biomarkers or performing forensic analysis on drugs of abuse, our mass spectrometers give you the resolution, accuracy, sensitivity, and throughput that you need to advance your science. Xtreme Power, a global provider of power quality solutions, is dedicated to providing the most reliable power protection for mission critical applications. Its innovative product portfolio ensures customer peace of mind with ideal solutions for maximum uptime. Xtreme Power manufactures UPS, power distribution units, and portable cooling products for a global network of OEMs and distributors. Headquartered in Denver, CO, our distribution centers across the U.S. and Europe ensure fast and accurate delivery. Our goal is to provide premium products with the best cost effective solutions for power quality and data center needs. At Xtreme Power, we built our business around the needs of our partners.